'We have a high level of traditional foods in our diet and because of that, people are concerned,' said William Josie of the Vuntut Gwitchin government. Scientists have been in Old Crow this week collecting samples from volunteers. Caribou is a dietary staple for people in Old Crow, Yukon, and that's prompted researchers to take a closer look at what people there may be getting when they consume the animals. Specifically, the researchers are measuring the presence of environmental contaminants in people's bodies. 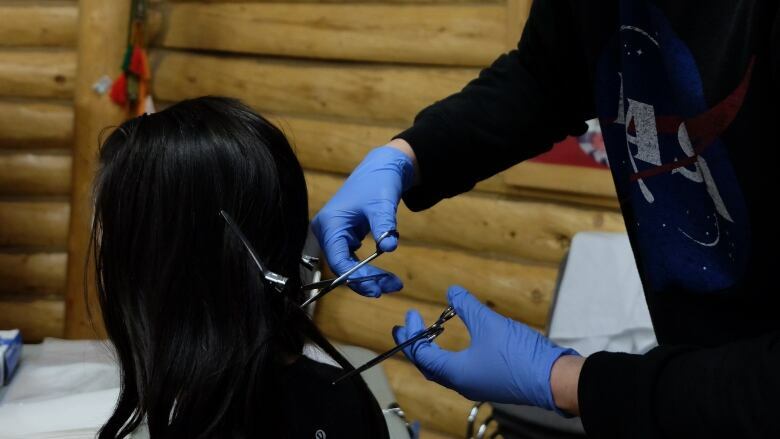 "The whole thing behind this is, we want to develop baseline data to look at contaminants or potential contaminants that are carried by the community," said William Josie, executive director of the Vuntut Gwitchin First Nation in Old Crow. "We have a high level of traditional foods in our diet and because of that, people are concerned," he said. 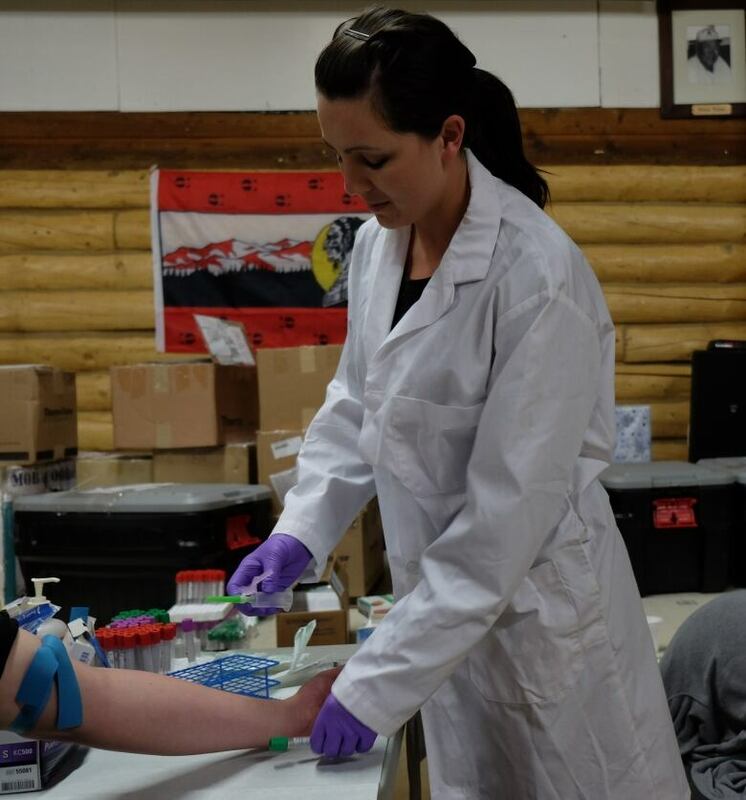 Scientists funded by the federal Northern Contaminants Program, working in partnership with the First Nation, have been in Old Crow this week collecting blood, urine and hair samples from volunteers. The goal is to collect samples from at least 70 people. By Thursday morning, they'd had about 50 volunteers and Josie thought they'd easily meet their target by day's end. Josie says there was a lot of discussion in Old Crow before residents agreed to take part in this pilot project. "We just don't jump into stuff like this, we consult the community and we get their permission," he said. 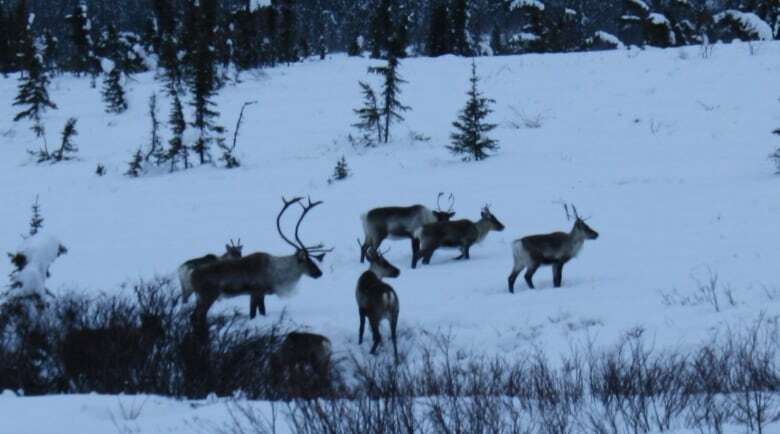 Mary Gamberg, a researcher in Arctic wildlife contamination who's based at Yukon College, says the Porcupine caribou herd has been studied for decades, and the animals are known to have measurable levels of things such as mercury and cadmium in their systems. More recently, researchers have also measured manmade contaminants such as perflourinated compounds (PFCs) in the herd. PFCs are commonly used in things such as stain repellents, and firefighting equipment. "These things get into the atmosphere, they enter the global circulation of air. They get to the Arctic where it's cold and they fall out of the air onto lichens — and then caribou eat them. So that's how they get into the caribou," Gamberg said. Old Crow was selected for the pilot project, she says, because "there's nobody else in the Yukon that eats caribou the way Old Crow people eat caribou." 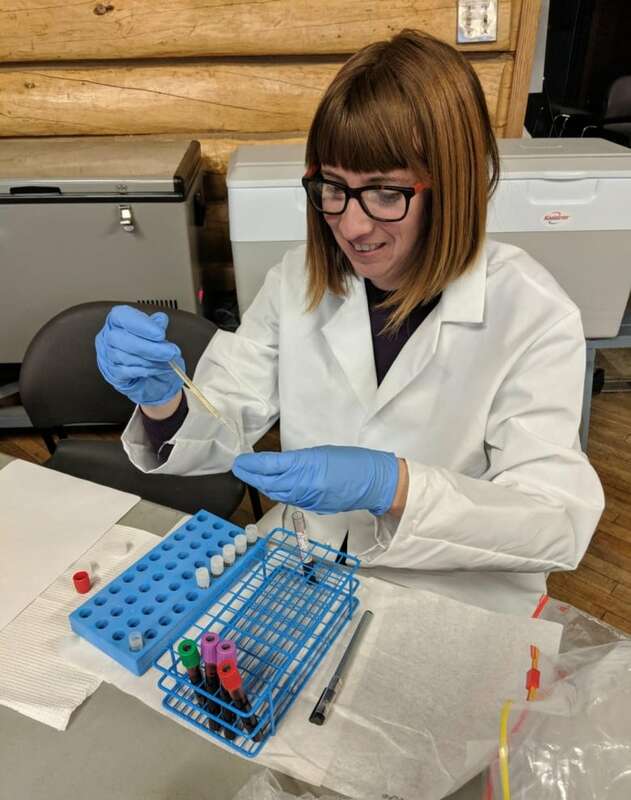 Gamberg says the known contaminants have been measured at very low levels, and she believes they pose no immediate or urgent health concern to caribou, or most people. But she calls it "disconcerting" to see new contaminants showing up. Collecting data from people in Old Crow this week will allow researchers to monitor any worrisome changes in the coming years. "The goal, of course, is to catch these things before they get to a level that are toxic to the animals or the people." Gamberg said if contaminants become a clear and serious concern in the North, the data collected can help make a case for regulation. As an example, she points to the Minamata Convention on Mercury, an international treaty that came into effect two years ago to limit mercury emissions. "Part of the evidence that was used to create that convention were data from the Porcupine caribou," she said. "We really need to regulate these things on a global level." Gamberg says the researchers are not just interested in toxic contaminants, though. They're also measuring for things known to be part of good nutrition, such as selenium, and omega-3 fatty acids. After the bio-samples collected this week in Old Crow are analyzed, each person will be given their personal results. Those individual results will be confidential, Gamberg says, and delivered within a year. The researchers will also host a community meeting to talk more generally about what they found.